Today it was about Enya’s daughter. Her job is to tend the herbs. When I found the following YouTube video, my imagination went soaring. Listen, and you’ll probably see why! This entry was posted in herbs, ideas, research and tagged Enya' Son, herbs, mugwort, research on July 21, 2017 by cthomson. Have you heard of this? 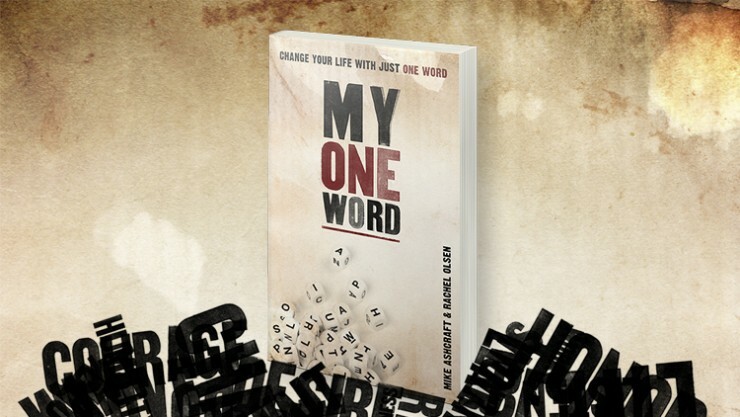 Mike Ashcraft and Rachel Olsen wrote a book in which they explain how choosing one word to focus on for an entire year can change your life. The concept involves praying about what God wants to teach you, and that can be both scary and enlightening. Often the word you pick turns out to show you something you hadn’t considered before or you end up needing that message more than you could have ever imagined. You can read more about the book and the whole movement on this website. I admit I’ve ordered something with my word on it. I’ve even created my own little pictures. They are reminders because I forget easily. The more reminders, the better. 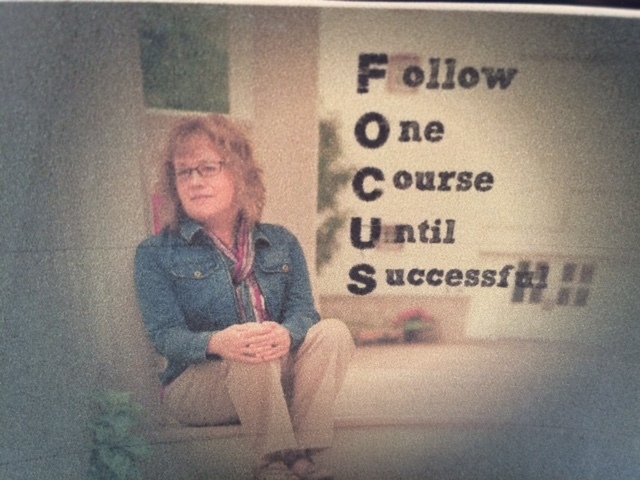 I made this little image to place on my desk because in 2014, I really needed to focus. There have been so many distractions keeping me from making as much progress on my writing as I should. Some of them I created. Others have been beyond my control, but overall I just needed to focus and plow through. One thing I have learned from concentrating on one word for an entire year is that there is always something I have indeed learned. Maybe not perfectly, but it’s progress I might have missed had I not chosen to do this. This came to me in church one Sunday, and then I heard the word somewhere right after. And I felt it in my heart. I realize that this word could have several meanings (as is the case with a lot of words) and I am not entirely sure what it means for me. My first thought had to do with mentoring since I’ve been seeing some changes in the way I’ve mentored in the past. My next thought was that I need to give away some of my writing, which feels just a bit painful right now because my writing income is virtually nil. Another thought is that if I don’t FOCUS in 2014 and get the current novel I’m working on finished, I won’t be able to SHARE in 2015. But there are other things it could mean, such as speaking up, sharing my heart, my passion, the Gospel. I don’t know where it will lead in 2015, but I am sure God has a reason for asking me to focus on this word. 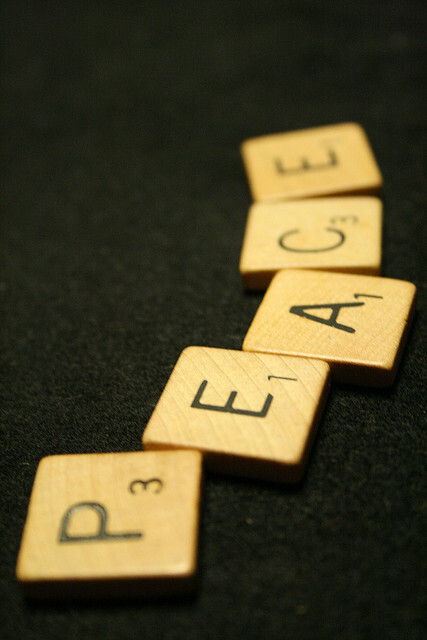 Have you chosen a word to focus on for a year? Are you considering doing so? This entry was posted in Cindy Thomson, ideas, inspiration, writing and tagged Cindy Thomson, My One Word on November 19, 2014 by cthomson. This quote came from this blog post. It speaks the truth, I believe. This is the sum of why I started researching my roots. We are all searching, I believe, for a connection to each other and to God. Stories connect us. Even hearing the stories of someone not blood-related to you brings you closer to that person and that person’s struggles and triumphs. His wife donated the collection in 2005, and much of it is on display in a former bank building in town. This museum opened after my visit so I didn’t get to see it, but it started me thinking about the importance one man collecting history can have. How much of what he kept might have been lost had he not done it? I imagine a good bit. Lots of people keep mementoes, pictures, and items related to their own personal histories. But Jackie Clarke must have felt connected to his community and his country when he stowed away all the stuff he did. I can’t imagine why he didn’t share it in his lifetime. Apparently even his family didn’t know the extent of his collection. Perhaps he thought he was the only interested, but of course that wasn’t true. My mother has stashed away items, particularly newspaper articles, when she felt they would be of historical significance in the future. She has nothing like the Clarke Collection, but she probably shares Jackie Clarke’s convictions. So much is digital now that there is little need to keep everything, but organizing it is still important so future generations can feel connected to their past. What do you think? Are you a collector? The past connects us in important ways but only if we are able to hear the stories. This entry was posted in ancestors, History, ideas, Ireland, stories and tagged Ballina, collections, history, Ireland, stories on September 24, 2014 by cindythomson. 2. It’s an amazing story! 3. This won’t work at all! 4. I’ll make it work if it kills me! 5. It’s an amazing story! 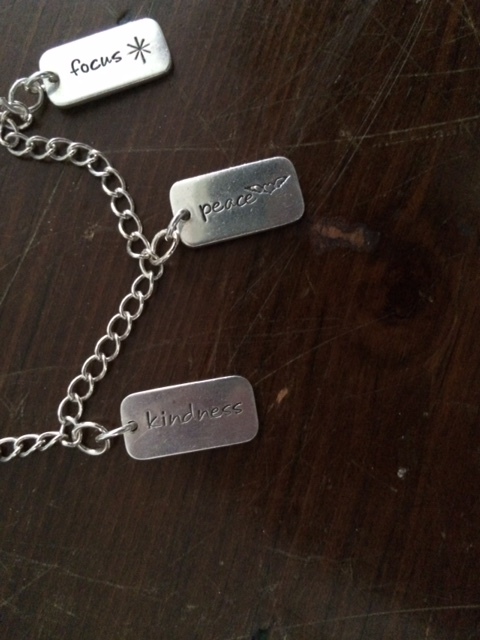 This entry was posted in authors, ideas, stories on February 28, 2014 by cindythomson.